With the fear of melanoma and other skin cancers looming over our heads every day, it’s easy to forget that our bodies actually need sunlight exposure to function properly. Even in the winter, it’s important to get moderate sun exposure. 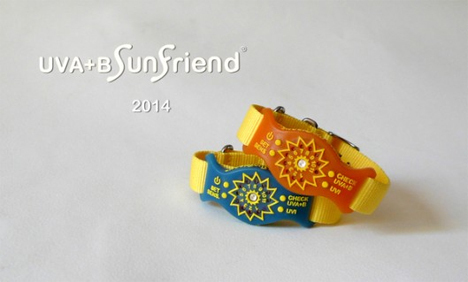 But if you’re as confused as the rest of us about how much is just enough, the Sunfriend wristband is a helpful little tool. 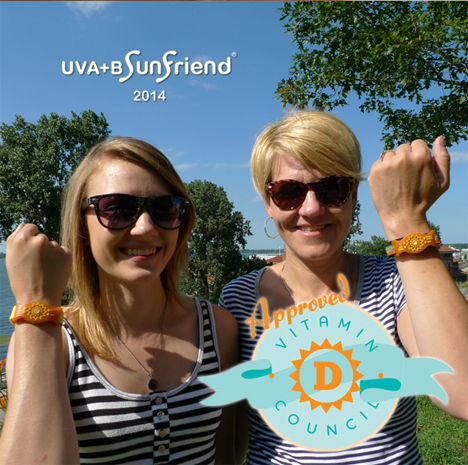 The Sunfriend doesn’t encourage you to wear sunblock to keep the sun’s rays away from your skin; in fact, it tells you how much sun should be hitting your bare skin to help keep you healthy. And for those people who never remember the sunscreen anyway, the Sunfriend can be a helpful reminder that they need to take a break and go inside when their skin has had enough. According to the team behind the wrist monitor, wearing sunscreen blocks the beneficial UV-B rays along with the harmful UV-A rays. 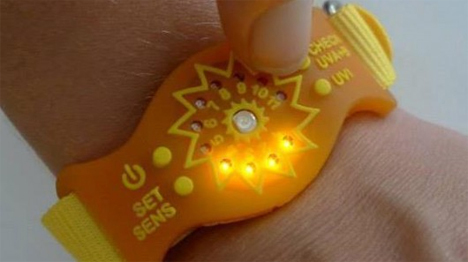 The bracelet doesn’t do anything to protect your skin if you decide to stay outside all day, but it does tell you when you’ve had enough of the good rays before the harmful ones cause damage.